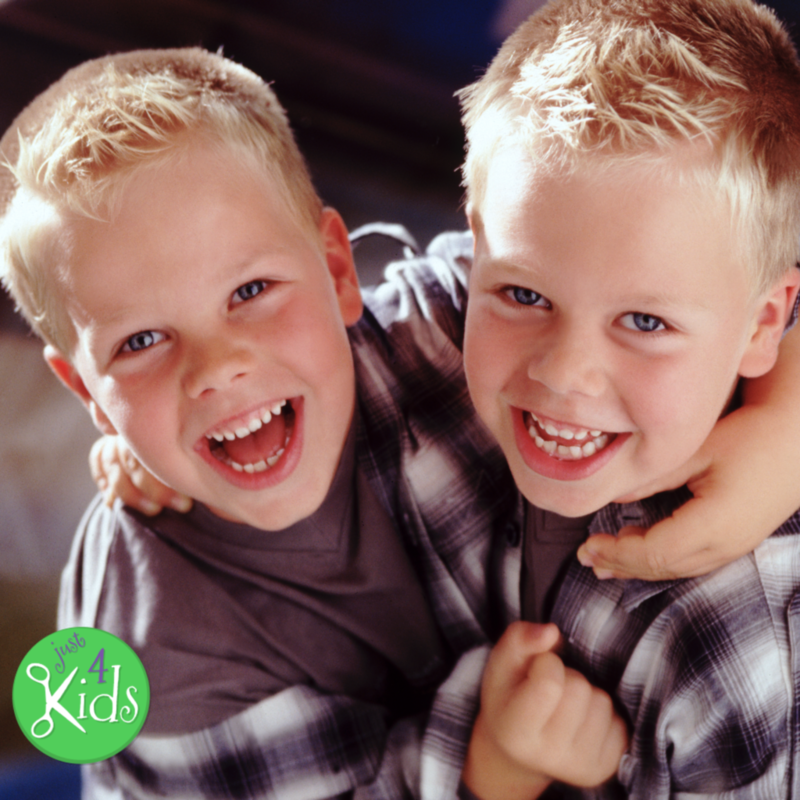 We’ve done our research in addition to styling tens of thousands of kids’ hair on our own! Here are our picks for the Top Kids Hairstyles 2018, particularly short hairstyles for boys. Read more for the very Best of Summer and back to school short haircuts for boys. We are proud to release our second installment in the series – Top Kids Hairstyles of 2018! This is the back to school version! We’ll be breaking this project down into the top hairstyles for both girls and boys. Further still, we will break down the top kids hairstyles to short, medium and long hair! This second article in the series lists the top short hairstyles for boys and short haircuts for boys. As always, we hope you find inspiration for cool back to school kids haircuts and back to school kids hairstyles in our content. Within this series of articles, you will find trendy, salon-inspired and barber-galvanized looks! 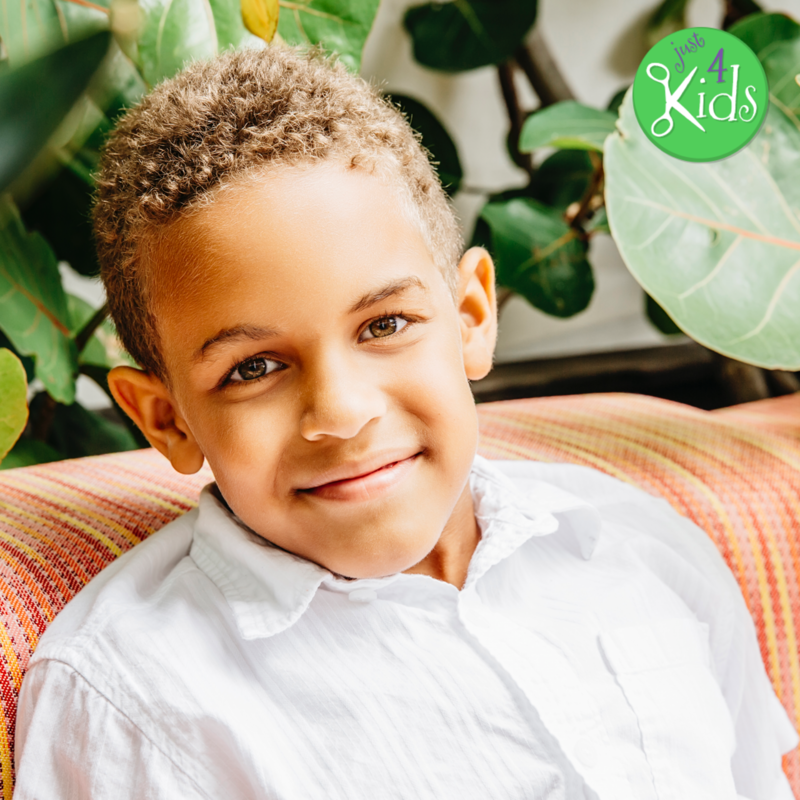 These include short hairstyles for boys, inspired by the top kids stylists and children barbers on the planet! But again, this specific first article focuses on short haircuts for boys. Remember parents! The haircut itself only gets you half-way! As a special bonus, we also include our picks for the top kids hair products required to style and maintain each look. We carefully selected these based on criteria for each hair type. Styling products include gels, balms and detanglers. Further, maintenance and upkeep of these styles include shampoos, conditioners and oils! You may also find the following article on top kids hair products useful! Within it you will learn how to best style short haircuts for boys. So enough talk. Let’s jump right in. 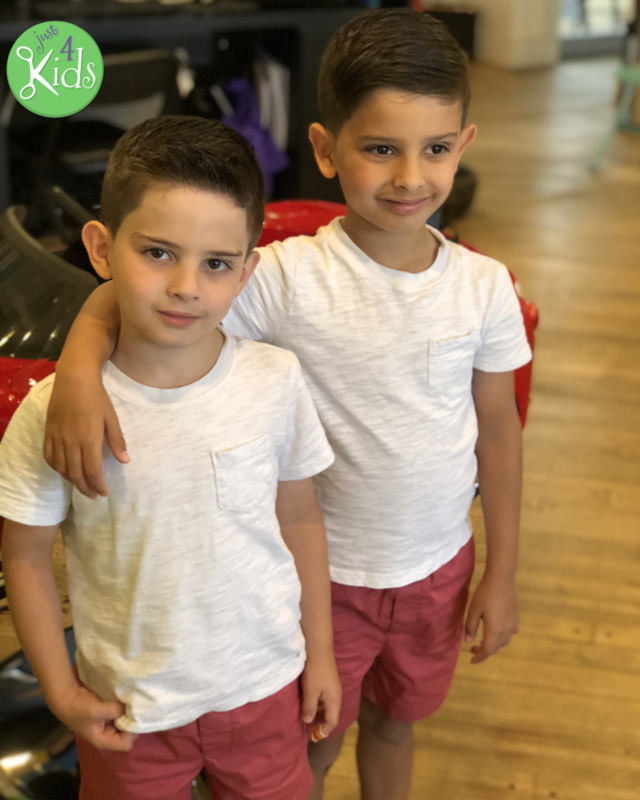 Read on below for the top kids hairstyles 2018 / short hairstyles for boys / short haircuts for boys – Back to School 2018. Good luck, and may our suggestions inspire your child’s next fresh look! It just doesn’t get any more classy than the “Boy Next Door” hairstyle! Two words come to mind when we think of the boy next door – Clean-cut and wholesome! Sure this cut is a tad on the conservative side, but with it you can never go wrong! The boy next door is one of the “clean, yet stylish” short hairstyles for boys that we absolutely cherish. For the boy who doesn’t need to compensate for anything with his hair, this timeless look is ever-present in the hearts of moms everywhere! 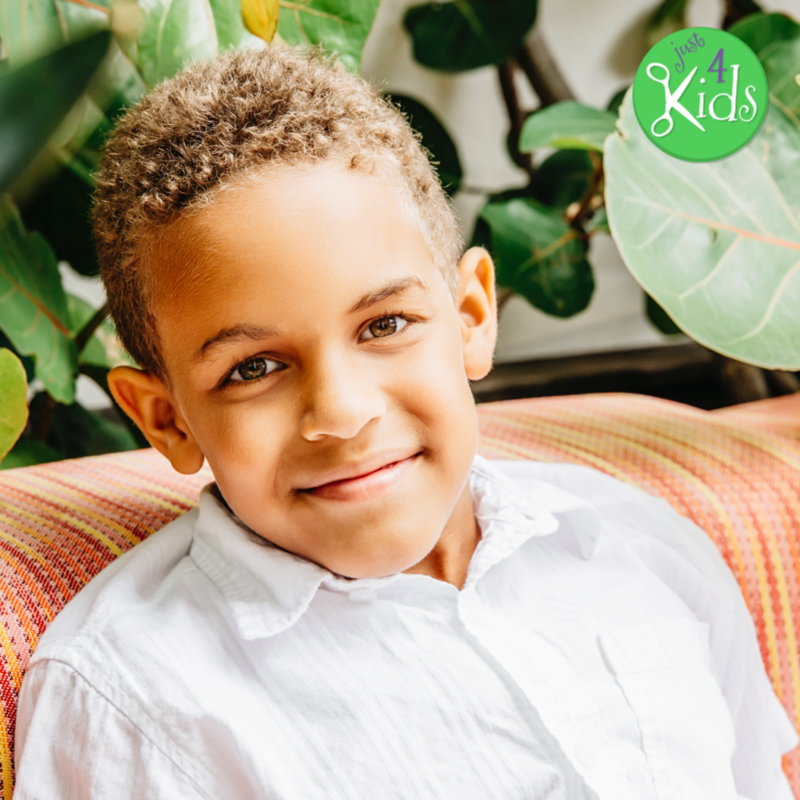 This short hairstyle for boys accentuates the natural features of your child’s hair without the extra “noise” of loud spikes or aggressive barbering. When it comes to the boy next door, “less is more.” Further, with the hair cut to the ear and nothing crazy, the boy next door haircut is a trademark of the All-American boy. Finally – we consider it one of the top short haircuts for boys back to school in 2018. The cut itself is fairly simple. Clean is the name of the game! Well-groomed sides and edges with no messy pieces on top symbolize the boy next door cut. The term “boy next door” itself has been popular since the 1950’s, and the haircut to match is simply a complement to it. 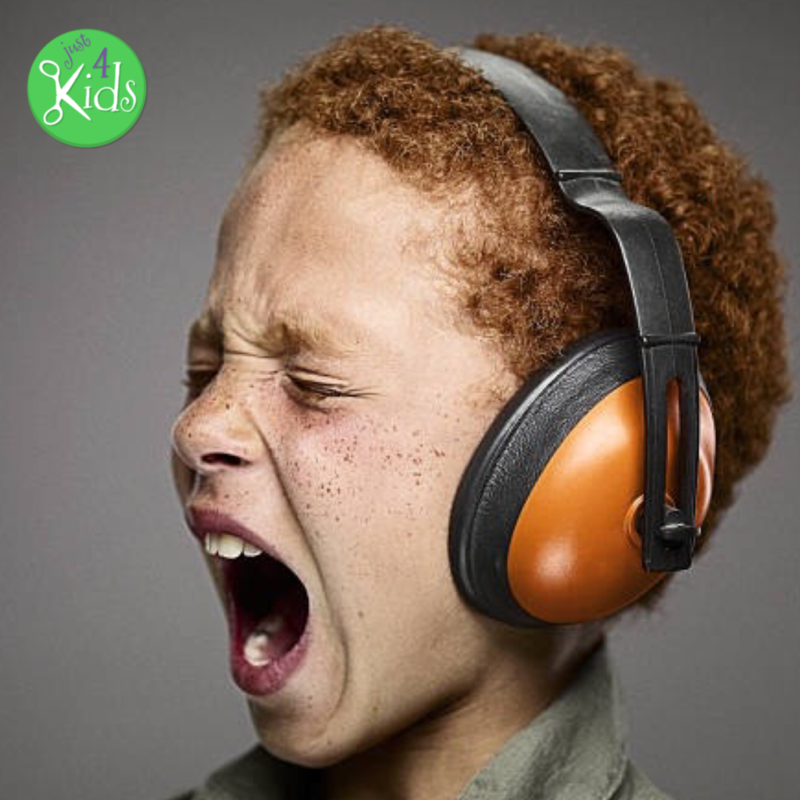 Maintaining this short hairstyle for boys is a cinch – Regular visits to the kids salon! That’s once every six weeks in the fall, winter and spring and once every four weeks during the summer. This is because hair grows fastest when the weather (and sun) is the warmest. Keeping the sides and back neatly manicured with no loose or messy pieces on top is essential. The boy next door is always neat and organized. As such, the short haircut of the same name is no exception! Styling a boy next door short hairstyles for boys is easy. Simply use some light gel or balm in your child’s hair, and style it naturally. If there are natural parts or directions in which their hair flows – just go with it, and don’t try to make any drastic changes. Tip – The more you know about your child’s hair type the easier it will be to pick out the best product for their hair. Just be sure to style the hair down with your favorite product to a nice clean finish. This summer, the Side Part Combover Fade will be sure to leave a splash and keep you cool! The comb over fade is one of our favorite short hairstyles for boys. In truth, it is a bit edgier than the “boy next door.” First, it utilizes a nice combination of barbering and styling. Next, it makes a statement while also staying functional for summer as well as back to school. The key to a great warm weather kids haircut is keeping your child cool. Further, giving the hairstyle a bit of panache is an added plus! There are many variations of the comb over fade hairstyle. The greatest advantage of the cut is that it works for ALL hair types – straight, wavy, curly and coily! Also, it is quite versatile for all facial shapes. Finally – there are several choices for the fade type itself, depending on how short you are comfortable going. The fade you choose for your child should be based on your own personal comfort level. Choices of fade include skin, mid, high or low fade on the sides. Essentially, the difference in fade type is simply the point on the scalp (on the sides and back) where the cut tapers and joins the length of the rest of the hair on top of the head. For instance, a low fade joins the rest of the hair length low on the sides and back. A high fade joins the rest of length on top high up on the sides and back. A skin fade starts with complete skin (razored) and tapers up in length (while looking nice and blended and even) along the sides and back of the scalp. Regarding the comb over part (top of the haircut), you also have many options. The concept of sweeping the hair to the side, either straight sideways or at an angle produces a really cool look! The versatility of the look makes it one of the most popular short haircuts for boys. This is because it looks great for any hair type or hair texture. You can rock it with fine, medium or coarse hair. Also, with straight, wavy or curly locks! Quite simply, we love this look as a top short hairstyle for boys – back to school 2018! Again, there are two parts to this combined style – the comb over and the fade. It’s practicality is what make it one of the top kids hairstyles 2018 for back to school. The earliest known display of the comb over hairstyle was found by the Emperor Constantine. He actually combed his hair forward and to the side to disguise his receding hairline! The style was brought back in the early 1970’s be celebrities like Don Rickles. Get this! 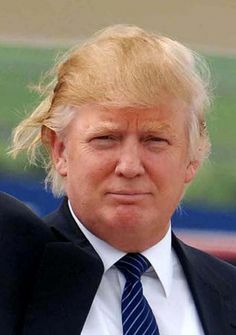 In 1977, the comb over hairstyle was actually patented by Donald and Frank Smith of Orlando, Florida. They cited a special variation of the look that conceals baldness by combing long hair in three separate directions! 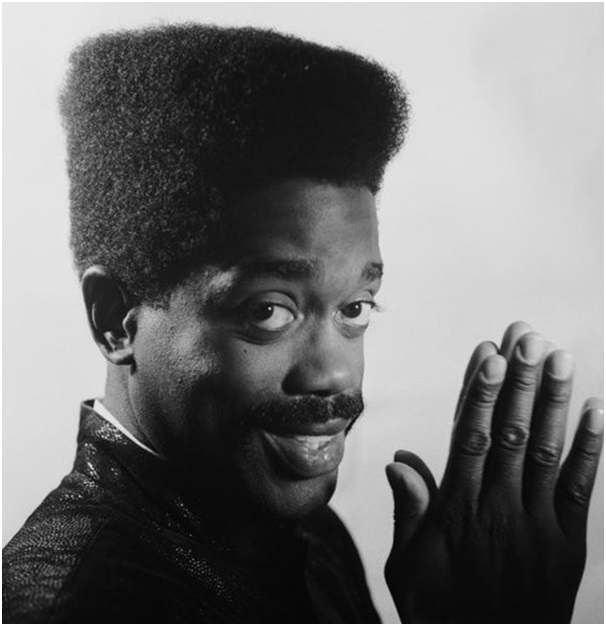 Regarding the Fade hairstyle, the haircut itself is often credited to Larry Blackmon – the lead singer of the mid 1980’s band, “Cameo.” His look was essentially a precursor to the “Hi-Top Fade” of the 1990’s. It featured a square and flat top with slightly longer sides and back. Fear not! 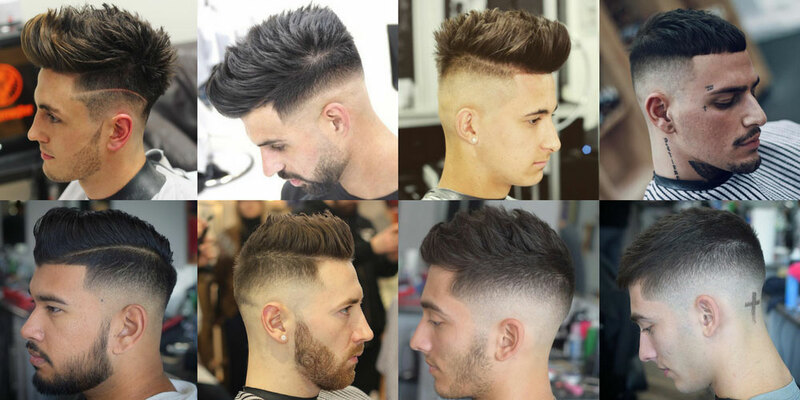 In the 21st century, the fade hairstyle has made considerable progress. It now only refers to how the sides and back are tapered before joining the hair length atop the head. If not played properly, the comb over hairstyle can land you more criticism than praise. Current U.S. President Donald J. Trump has been infamously lampooned for his comb over. Media outlet “Saturday Night Live” brings up his hair almost weekly, and “Vanity Fair” once described it as “an astonishing coiffure.” Prince Charles of Wales is also known for his side-parted comb over, as is Senator John McCain. The comb over in grown men is often viewed with a tinge of negativity from women for a lack of self-confidence. Perhaps it is the fear of losing all their hair, or an unwillingness to shave it bald that evokes this sentiment. Let’s face it – there’s probably nothing more a woman likes in a man than confidence. Conversely, there’s probably no bigger turn off to her than a lack of it! 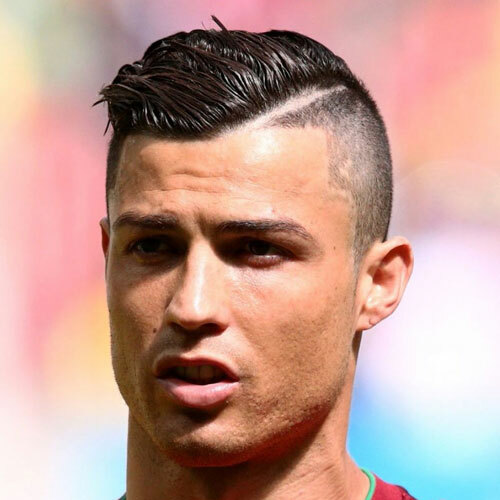 Soccer Star Cristiano Ronaldo rocks a pretty fierce comb over fade! We’ll get to his hard part later in this article! However, with that aside, the look has become extremely popular again in males who actually have adequate amounts of hair on top of the head. Also, the look works for those men who simply want to make a statement by leaving it long while fading and tapering the sides. All-World footballer / soccer star Cristiano Ronaldo is famous for his comb over fade look, capped off with a hard part. The key to a solid comb over, especially in young boys, is actually HAVING the hair atop the head to spare! Once you have this box checked, move on to step two! Next, you want to ensure the sides and back are perfectly manicured and tapered to the length and point on the scalp you are comfortable with. 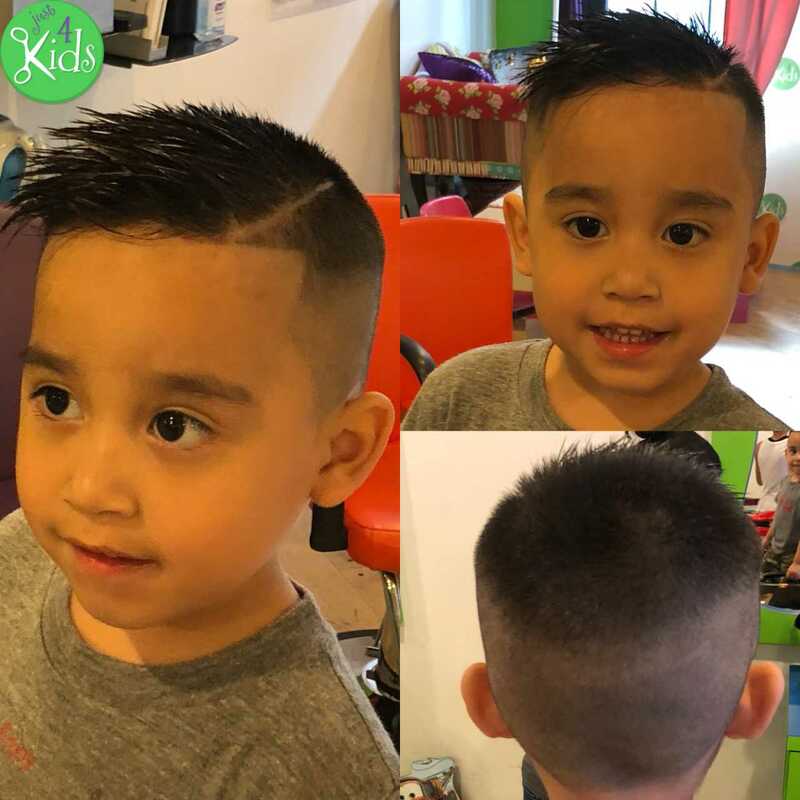 Again – remember the description of the undercut fade haircut in the first article on top kids hairstyles for long hair. To this end, it is important to get regular haircuts to keep the style looking sharp. This goes double in the summer months when hair grows the quickest! Once you have the desired fade (compliments of your child’s barber or stylist), you can now begin with the styling of the comb over. Carefully comb your child’s hair forward to find his natural side part. The key is to keep everything neat and tidy. Next, if starting dry, blow-dry the hair front to back. Comb the top of the hair into place while firmly maintaining the part. You’re almost there! This fabulous back to school kids haircut is almost complete – you just need to style it. OK – so once you have your desired fade length on the sides and back, you can begin styling the comb over on top. Listen up! If starting out with dry hair, be sure to use a balm or pomade in the next section of styling. If starting with wet hair (better for wavy and curly hair types), all good too! Best to use a good gel to encourage good behavior of your child’s hair in parting and coming to your liking. Now, carefully comb your child’s hair forward to find his natural side part. Again, neat and clean is key. Next, if starting dry, blow-dry the hair front to back. Comb the top of the hair into place while firmly maintaining the part. Finally, massage some balm or pomade into the hair from back to front. Finish by styling and combing the front. Boom. You’re done! Your child can now strut around with one of the best short hairstyles for boys for back to school on the planet. Is there a cooler back to school hairstyle for boys than the skater boy? We think not! Although there are longer variations, the “Skater Boy” is essentially a slightly shorter version of the “Surfer Boy.” Simply put, if your child can rock one look, he can easily pull off the other! The skater boy hairstyle is a bit edgier than the surfer boy look. What it lacks in length, it makes up for in grittiness. Starting with a surfer boy look and cutting shorter, the stylist creates more natural wisps and spikes at all angles. This is due to removing the “weight” of the longer hair (which can only fall naturally due to gravity). At shorter lengths and lighter weight, however, the locks can be styled in a number of simultaneous directions. This creates a really edgy, intentionally messy look. Similar to the Surfer Boy, this hairstyle is one of the very trendy short hairstyles for boys over the summer, not to mention back to school! Also, it looks especially attractive on boys with straight, blonde or dirty blonde hair. Nevertheless, the hairstyle can be pulled off handsomely on boys with some light waves and darker hair as well! 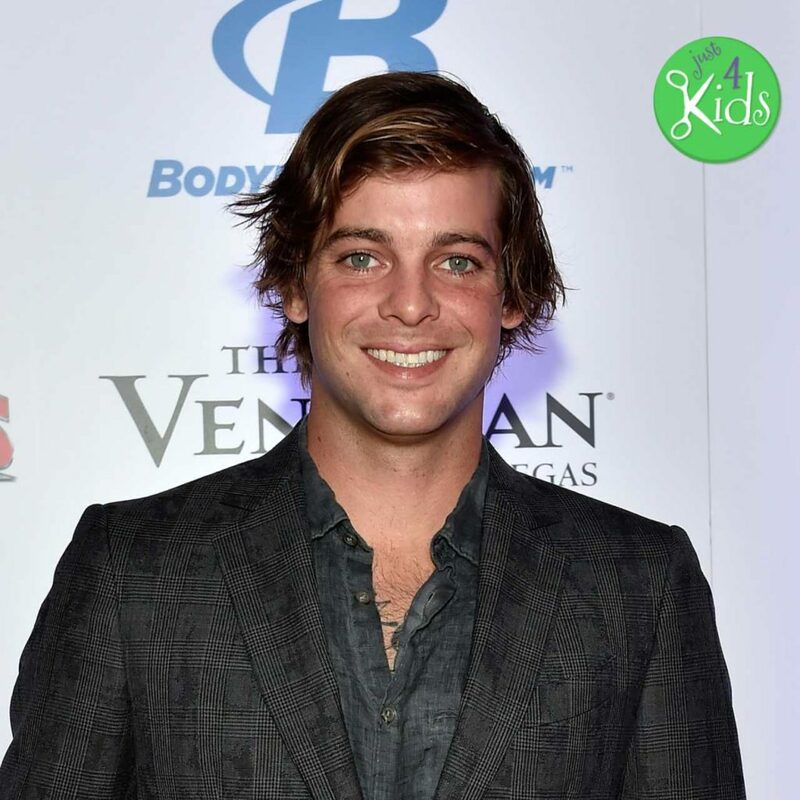 Professional Skateboarder and MTV Reality Star Ryan Sheckler fits the bill with a longer version of the Skater Boy hairstyle. The look is comprised of moderately short (even shaved) hair on the sides and an angled bang look in the front. Essentially, the frontal hair is angled and allowed to fall to one side toward the eye in a rather fashionable way. Also, the rest of the hair on top is stylishly layered, culminating in angled bang look over the forehead. Finally, the slightly messy and frazzled appearance adds genuine character to the style. Historically, skateboarding became popular in California shortly after surfing. First introduced in 1958 by attaching roller skate wheels to a board, skateboarding became a method of “land surfing” when there were no decent waves to surf. The stereo type of the skateboarder in the early days (akin to the surfer), was one of a troublemaker, or “bad boy.” By the late 1980’s, the skateboarding movie “Gleaming the Cube” brought the sport into a national spotlight. Also, it skyrocketed the career of actor River Phoenix, who perfectly fit the mold of the “troubled juvenile skateboarder” archetype. By the late 1990’s, ESPN’s national broadcast of the X Games brought the once alternative lifestyle of the skateboarder into the main stream. Further, skateboarding legends like Tony Hawk were able to begin their legacy. Finally, the antiquated negative view of the skateboarder was transformed to one of character, sophistication and style! Step One – If short, give it some time to grow out on top, so you can produce the desirable angled bangs. Step Two – Stay active outdoors, particularly while skateboarding. Maintain heavy exposure to sun and surf for a trendy “weathered” look of the hair, ideally with some natural highlights and lowlights. Step Three – To speed along the oxidation process – try adding some lemon juice to dirty blonde hair for some natural platinum highlights, or orange juice to brunette hair for some natural reddish highlights. The best way to style this look is by investing in a nice balm or pommade. When applied to dry hair, it can create a trendy “messy” look with intentionally left-out-of-place wisps of hair. Consult your neighborhood child stylist for the best style to the cut and do your own homework on the best products. After that, you’ll be ready for back to school in no time! The fade with a “hard part” is becoming one of the the trendiest kids short haircuts for back to school in the game! If you’ve read our first article on long hairstyles (or lived on Planet Earth in the last 20 years) then you already know what spikes are. The comb over fade hairstyle above goes into great detail on the fade, so the only item left to cover is the hard part! The Hard Part (also called a line-in haircut) is exactly as it sounds, as it is one of the more difficult barbering tricks! 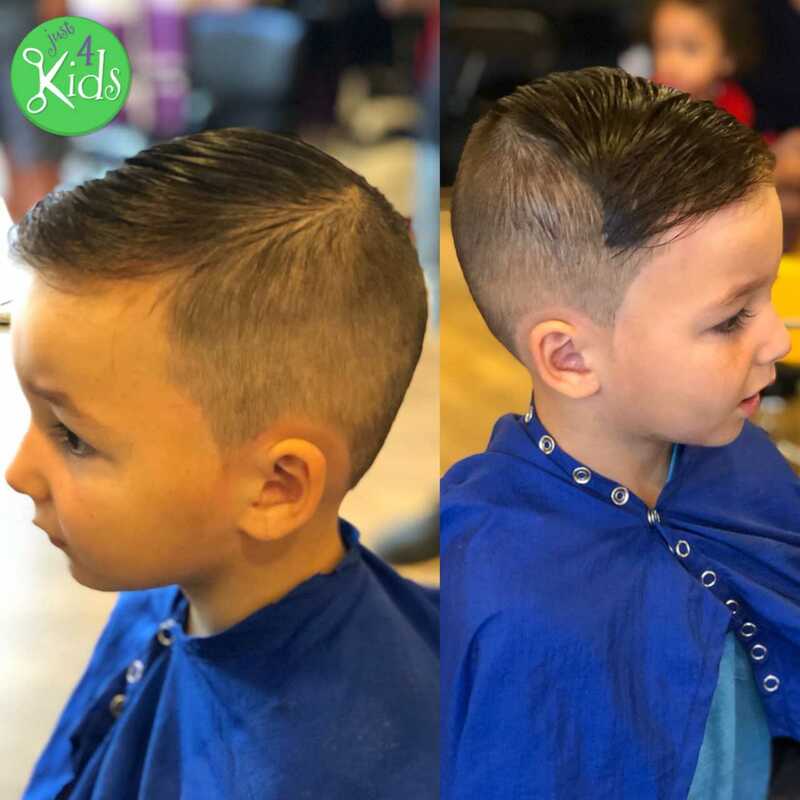 It requires excellent trimmer skills and precision (we recommend a child barber over a stylist as they are generally more experienced in these types of cuts). To make a hard part, the barber or stylist must carve a thin and artificial line into the scalp. This gives the impression of a well-defined natural part to the hair. The definition and contrast that the hard part provides is incredibly attractive to behold. When married with a trendy fade on the sides and side-swept spikes on top, the hard part gives us a deadly combination. Moms’ hearts watch out! 🙂 ! We easily consider the spiky side swept fade with hard part one of the top kids hairstyles 2018. It’s also just about the busiest buzz cut for short hair in barbering today. The hard part (line in) hairstyle actually originated in Victorian England during the mid to late 1800’s. From a functional perspective, soldiers sporting the hard part during the First World War were able to more comfortably fit into their helmets around their head and hair. 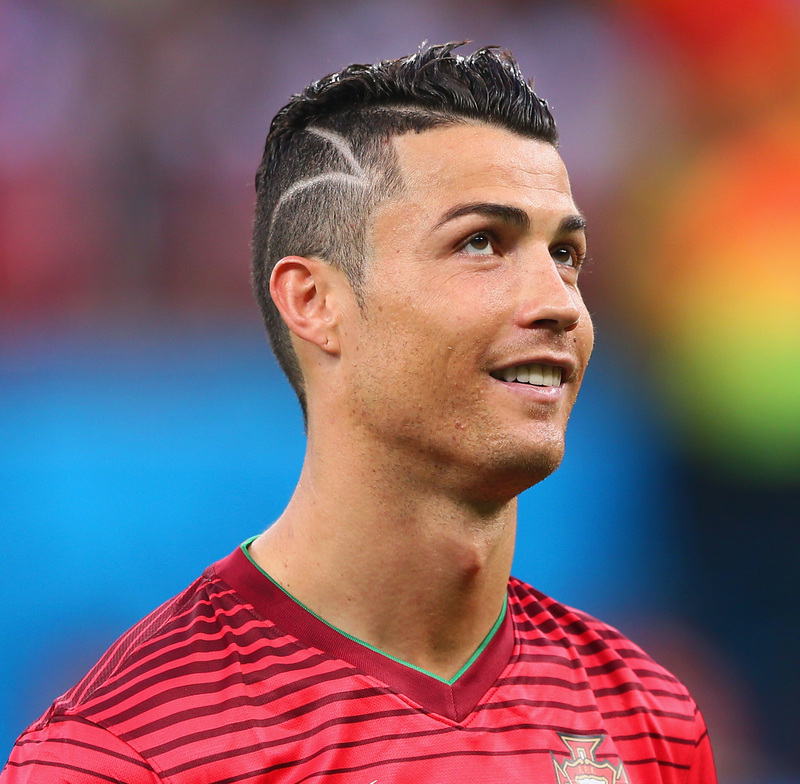 It’s not just Cristiano’s style of soccer play that gets people talking. Get a load of that haircut! Quite recently, soccer stars like David Beckham and Cristiano Ronaldo have made the hard part the crown jewel accent piece of their hairstyles. Other footballers have since followed suit. They have even come up with more extravagant versions. Get This! Incorporating multiple lines and designs into either side of the scalp. The spiky side-swept hard part fade can also be seen regularly on none other than UFC star Connor McGreggor. The main thing to remember here is that all hair is different. Your child’s hair will “spike” at different lengths. It just depends on the hair type and texture. Straight, fine hair tends to spike the easiest. Conversely, coarse, curly hair will not spike at all (without straightening it, of course). For the fade, have your child’s barber or stylist tailor the look to your liking (skin, low, mid or high fade). Regarding the hard part, highly skilled barbers are best at obtaining this look. Remember – the slightest imperfection will show greatly. The double-edged sword here is that the hard part itself will not last very long (a few days tops). After that, the stubble will begin to grow in and recede the attractive contrast. Regular trips to the barber or salon, especially during summer and just before back to school is a MUST to keep this look fresh and clean! There’s not much you need to do on the sides and back. The children’s stylist does all the work here. Regarding the top, again, straight hair won’t need much more than a light gel to create some great spikes. Medium or thick hair will require a bit more help. Either from a stronger gel (even Vaseline does the trick!) or a pomade. Finally, for the line in or hard part, just be sure talk to your stylist. They will consult you on where and how thick to make the line. Also, whether multiple lines would work. Before we conclude, check out our list of honorable mentions for Top Kids Hairstyles 2018 for back to school short haircuts. The “short and curly” is always a super cute look for summer and back to school short haicuts for boys! The “short curly fade” is one of the most adorable short haircuts for boys. Especially if you want to keep the sides nice and neat while accentuating the curls on top! And that’s a wrap! These are our final picks for Top Kids Hairstyles 2018 – Back to school. Also, Short Hairstyles for Boys / Short Haircuts for Boys. 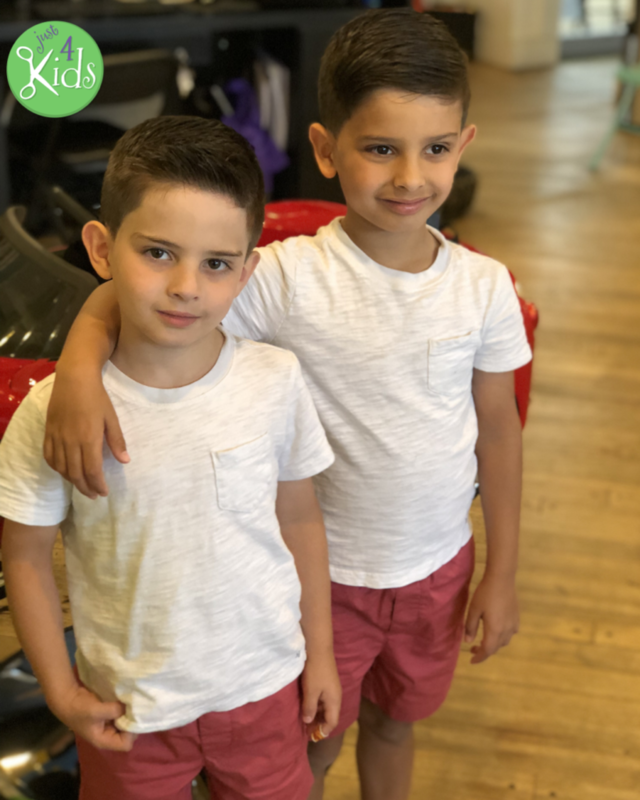 Thanks for checking out our article “Top Kids Hairstyles 2018 – Best Short Hairstyles for Boys. Short Haircuts for Boys Back to School 2018.” We hope you enjoyed it, and feel free to leave comments! We would love it if you would check out our other helpful articles here. Google Plus Page – Google Plus is a great new social media platform incorporating a social layer across various services such as Picasa photo storage and sharing. Also, it includes widgets for GMail, Calendars and YouTube. Finally, be sure to follow us on it, and contribute to our content, especially of short haircuts for boys! Instagram Page – Instagram is a great place to get interesting and local flair content from us. This includes incredible local photography. It highlights the best Hoboken and our salon has to offer. In addition, we provide interesting weather updates. Also, of course, great photos of short haircuts for boys. We also take great pic of our birthday parties. So, what are you waiting for? Finally, be sure to follow us on it! Yelp! Page – Yelp! is the ultimate independent review site on the web. Further, we strive to maintain excellence in this area. Here you can browse honest reviews of our business. Finally, check us out and share your experience with us!